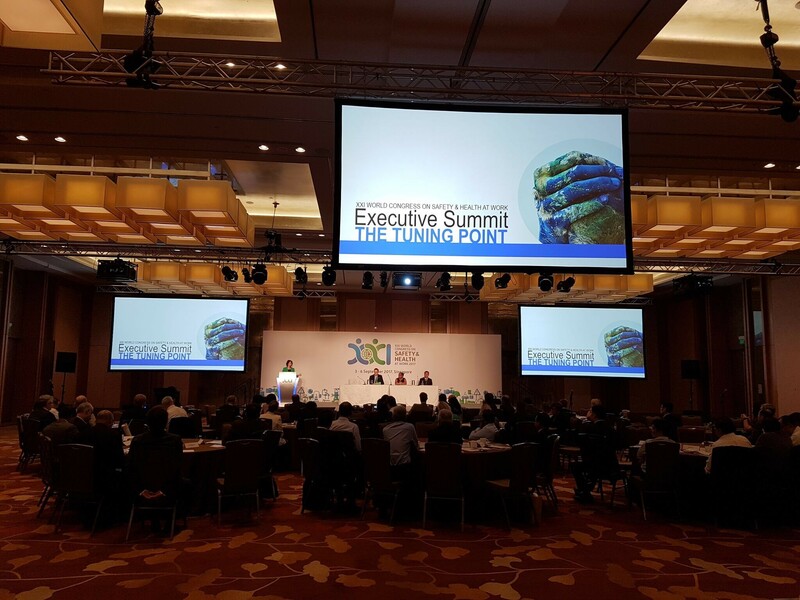 The Executive Summit brought together two excellent panels to discuss emerging challenges to the EHS field in an era of industrial, technological, and social evolution. 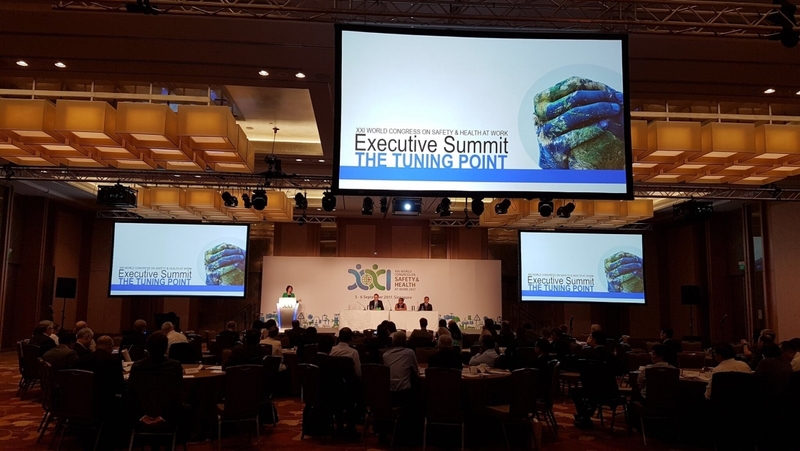 The two panels composed of speakers from 3M, AECOM, Bayer, Boeing, IBM, and Otis discussed how to address these EHS challenges by focusing on human performance and technological innovations. The robust discussion among the panelists and attendees is sure to create lasting connections for knowledge sharing in the future. The Institute also served as organizers for a technical session on wellbeing through work. During this session, attendees heard from a series of engaging presenters covering theoretical, national, and organizational approaches to worker wellbeing. The session confirmed that a focus on total worker wellbeing is the most comprehensive way to protect worker safety and health, and that we can expect further advances and improvements to worker wellbeing strategies by the next World Congress in 2020. Last but not least, the Institute on behalf of the National Safety Council joined over 40 other international organizations in becoming a signatory to the Singapore Accord. This historic agreement is a commitment from all signatories to the standards for occupational safety and health professionals, and a pledge to improve OHS professional capabilities in order to create safer and healthier workplaces. By being a signatory, NSC establishes itself as more of a global player in its dedication to partnering with other organizations to make workplaces safer around the world. In all, the trip to Singapore for the World Congress was engaging and fruitful as the team reconnected with existing members and partners, and forged relationships with new organizations. We’ve already saved the date for the XXII World Congress for Safety and Health at Work in Toronto in 2020. We’ll see you there!